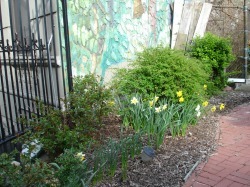 Hope Steven is a community garden, is composed of vegetable plants, flowers, trees and seating area. According to “The Trust for Public Land” the sign located in Hope Steven’s fence, is a protected public garden since 1999. Green Thumb is a community garden program, founded in the year 1978; Green Thumb has helped local residents develop green spaces from vacant spaces. CASES is a community service sentencing project, assigned a group of people to develop and construct the commu nity garden. The vacant space located in the North side of West 142nd Street between, Amsterdam Avenue and Hamilton Place has transform to a central space, where members of the neighborhood specially children gather to play and socialize, especially during the summer. 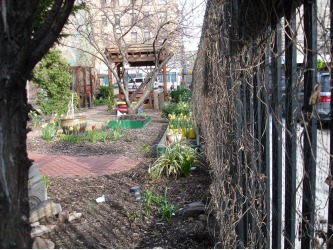 The fact the garden has a fence the place is a safe space children can be free and play, although one can find a playground near by the garden is a unique place because children learn from the changes trees, vegetable plants and flowers have through the year. 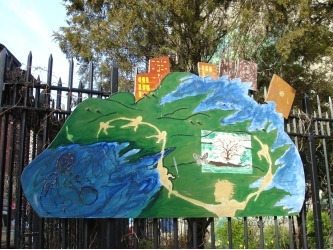 Children have the opportunity to learn the process of cultivation of nature in their own community. Hope Steven has become a space where the community comes together to produce positive things. 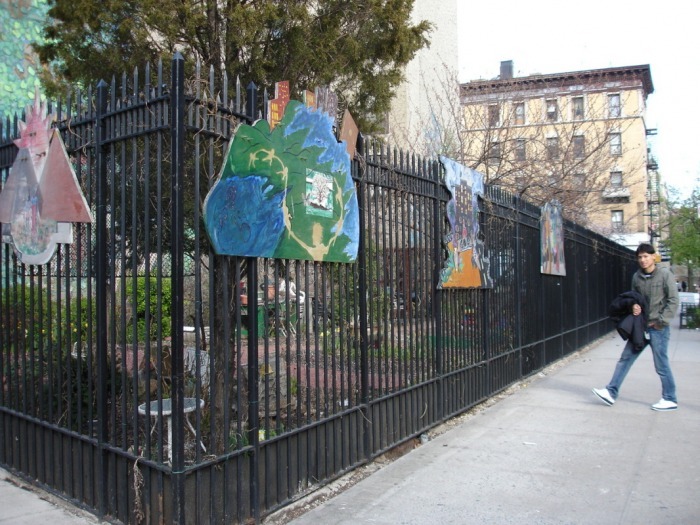 The garden is parallel to the 142nd street. Its perimeter is composed of three fenced sides and a building wall. 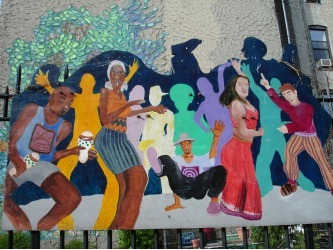 The wall of the building serves as a canvas where one can appreciate a mural that shows the function of the garden, a place where the community congregates and children play and learn. 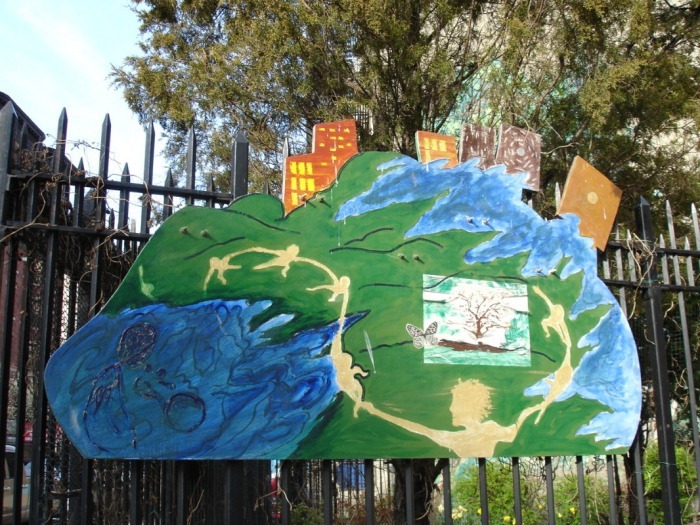 It is important to educate children, the importance of green spaces and Hope Steven has become the site children from Hamilton Heights have the opportunity to experience it. 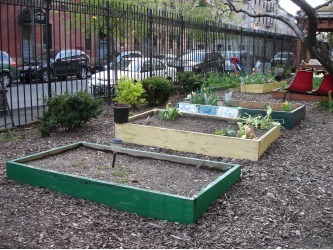 The community garden has become a place where members of the neighborhood can crop vegetables to provide neighbors in need. 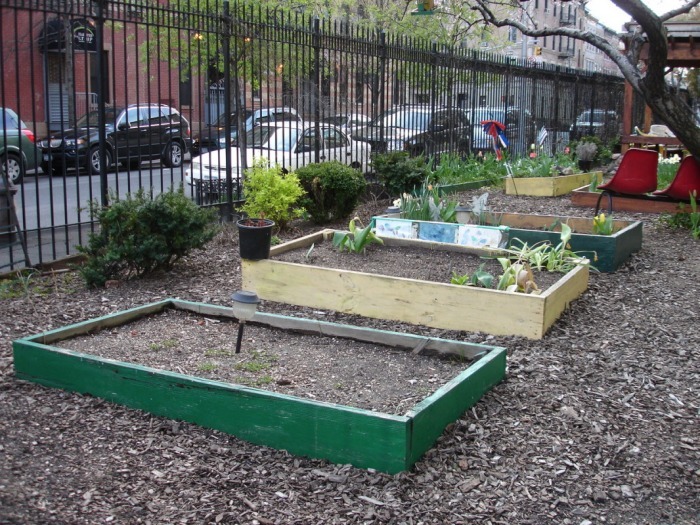 I believe the transformation of a vacant space to a community garden deserves to be acknowledge, it promotes the creation of green spaces, which can contribute with positive elements both environmental and social something essential in a child’s life.